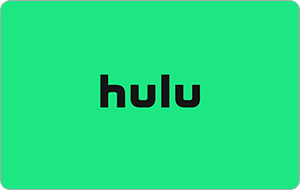 Hulu is not responsible for hardware issues related to your device's access to Hulu Plus service so please check with the applicable device maker for compatibility. Hulu Plus PIN Code is not refundable or redeemable for cash, either prior or subsequent to redemption, unless otherwise applicable by law. Hulu is not responsible for lost or stolen PIN Code or subscription codes. Visit www.hulu.com/gift to view complete terms and conditions. Hulu reserves the right to amend, modify or waive the terms and conditions from time to time in its sole discretion. The PIN Code is issued by InComm.